Jailbreaking is something that is very popular for those that have idevices. There are many reasons that that people want to go through the jailbreaking process with their devices. A few reasons include options for additional features, getting past Apple's hold over the idevices and adding modifications to the device. If you have an iPhone or an Apple device a benefit is that you have access to the Internet. The safari browser does prove a great surfing experience. The version on the mobile phones is not a full version like the desktop version, as some of the main functions are missing on the iOS versions. If you have a device that is jailbroken, you also have a device that offers you a lot of freedom. You are now able to enhance some of the applications that exist because you can download tweaks and releases that are in the Cydia store. There is a new tweak that is available that tries to increase and enhance the user experience of the mobile Safari browser. 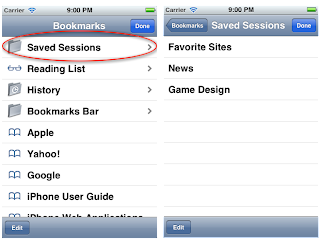 This tweak is known as the SessionFiend and it brings session management functions to the mobile Safari browser. With this tweak, you can save a group of tabs for reading and looking at a later time along with the ability to open up a group of tabs at a certain time. If you use this browser on a desktop, you can set a number of websites to open up in tabs when the browser is started. Before SessionFiend, this was not available on the mobile version. Thanks to SessionFiend it is now available on the mobile version. Available to users at a price of $1.00, with it soon to be going to $1.50, users can find this in the BigBoss repository. It is compatible with iOS 5 and works on the iPhone and iPad. It will only work on a jailbroken device. This tweak will also fit quite well into the browser's bookmark list. It gives it a native look and feel. 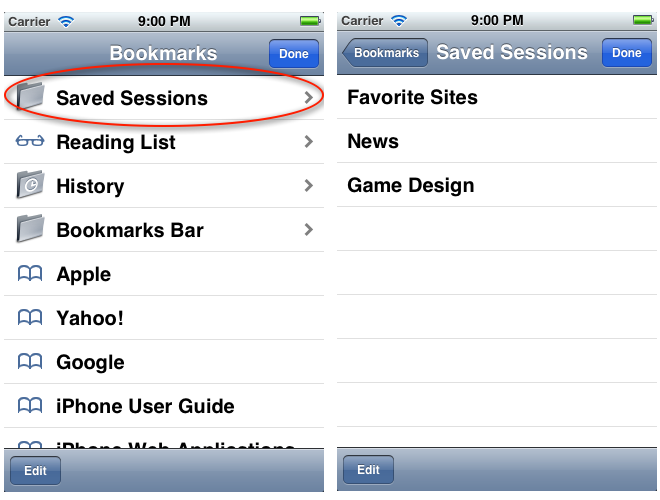 The different options and sessions can be configured from the application' bookmarks panel. 0 Respones to "The SessionFiend Application"